It means humanity will be living on "credit" for the rest of the year. "By August 2, 2017, we will have used more from Nature than our planet can renew in the whole year," the groups said in a statement. 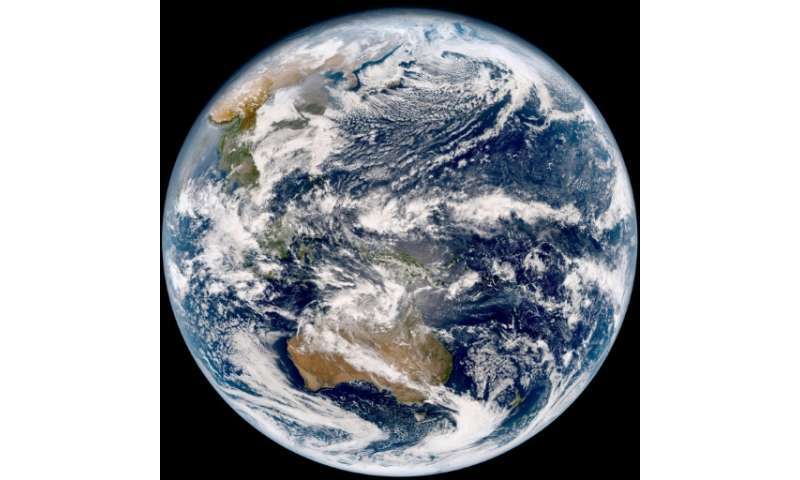 "This means that in seven months, we emitted more carbon than the oceans and forests can absorb in a year, we caught more fish, felled more trees, harvested more, and consumed more water than the Earth was able to produce in the same period." The equivalent of 1.7 planets would be required to produce enough to meet humanity's needs at current consumption rates. 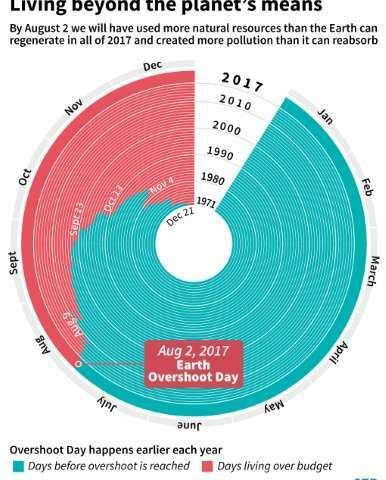 Description of Earth Overshoot Day, the date at which humanity's use of natural resources exceeds what the planet can regenerate in that given year. This year it falls on August 2. Greenhouse gas emissions from burning coal, oil and gas make up 60 percent of mankind's ecological "footprint" on the planet, said the groups. The largest long-term impact is the one mentioned least frequently. Have fewer children. If we want everyone to have a decent standard of living we need to have a **lot** few people consuming those resources.